The NCCN has updated their clinical practice guidelines for the treatment of patients with colorectal cancer (CRC) to include the regimen of encorafenib (Braftovi) and binimetinib (Mektovi) plus EGFR inhibition with either cetuximab (Erbitux) or panitumumab (Vectibix) as a Category 2a treatment recommendation for patients with BRAF V600E–mutant metastatic colorectal cancer (CRC), after failure of 1 or 2 lines of therapy for metastatic disease. Array BioPharma Inc, the manufacturer of encorafenib and binimetinib, reported in a press release that the NCCN based its recommendation on data from the BEACON CRC trial. Data reported at the 2019 Gastrointestinal Cancers Symposium from the safety lead-in (SLI) phase of the trial showed that clinical outcomes with the BRAF inhibitor encorafenib, the MEK inhibitor binimetinib, and cetuximab exceeded historic data in patients with BRAF V600E-mutant metastatic CRC. Results from 30 patients showed an estimated median progression-free survival (PFS) of 8.0 months and an estimated median overall survival (OS) of 15.3 months with a median duration of follow-up of 18.2 months. The overall response rate (ORR) was 48% by local assessment, with 3 patients achieving a complete response (CR). 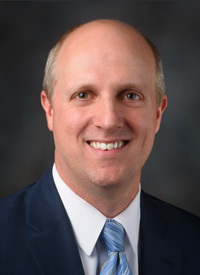 "With no current FDA-approved therapies for BRAF CRC, this combination represents an important treatment option for this patient population," BEACON trial lead author Scott Kopetz, MD, PhD., FACP, Associate Professor, Department of Gastrointestinal Medical Oncology, Division of Cancer Medicine at The University of Texas MD Anderson Cancer Center, said in a statement. "Historical published benchmarks in BRAF V600E–mutant mCRC patients, whose disease has progressed after one or two prior lines of therapy, are an overall response generally between 4% to 8%, a median progression-free survival of 2 to 3 months, and median overall survival of 4 to 6 months. The NCCN recommendation underscores the potential for this triplet combination to benefit these patients in critical need." The 6-month OS was 86.2% and the 12-month OS was 62.1%. Adverse events (AEs) were similar to those previously reported with BRAF, MEK, and EGFR inhibitors. The most common grade 3/4 AEs were fatigue (n = 4), anemia, increased level of creatine kinase, asthenia, and urinary tract infection (n = 3 for each AE); dyspnea (n = 2); and gastrointestinal toxicities such as nausea, vomiting, decreased appetite (n = 2 for each). Six patients (20%) had at least 1 drug discontinued due to AEs, 1 of whom discontinued all 3 drugs due to grade-2 fatigue. "Patients with BRAF V600E–mutant mCRC are in great need of effective treatment options," Ron Squarer, CEO of Array, said in a press release. "Based on data from the safety lead-in portion of the BEACON CRC phase III trial, the FDA granted breakthrough therapy designation in August 2018 for Braftovi, in combination with Mektovi and cetuximab for the treatment of patients with BRAF V600E–mutant mCRC as detected by an FDA-approved test, after failure of 1 to 2 prior lines of therapy for metastatic disease. We look forward to the interim analysis of the randomized portion of the trial in the first half of this year."